Lucy has worked in the wonderful business of cooking for nearly 30 years. She is Cordon Bleu trained and for the last 27 years has worked as assistant to Mary Berry, who describes Lucy as “a truly exceptional cook”. Lucy is an author of 8 books and also co-writes some books with Mary. Her expertise is both in AGA cooking, and in creating no-hassle recipes for family and friends. Secrets from a Country Kitchen, AGA easy, Secrets of AGA Cakes, Tips for Better Baking, Secrets of AGA Puddings, Mary Berry & Lucy Young Cook Up A Feast (co-written with Mary Berry), Mary Berry & Lucy Young At Home (co-written with Mary Berry). and her latest book, also co-written with Mary Berry, The Complete AGA Cookbook. 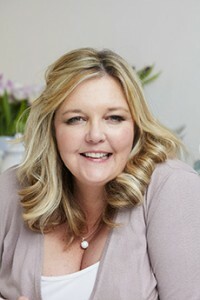 Lucy is recognised as an AGA expert and has appeared on Food Network and This Morning on ITV. She is often filmed with Mary Berry as her role as her assistant. Lucy has also been interviewed many times on BBC Radio 2 and regularly on local radio. Lucy is a member of The Guild of Food Writers.